Last weekend we had a break from the driving rain that has been the theme of our spring here in the Pacific NW. 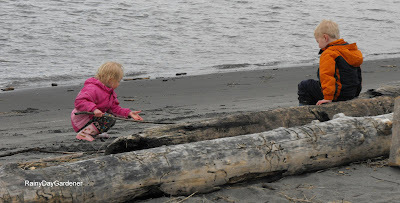 I bundled up the kiddos as a chilly, westerly wind was present and the family headed down to spend some play time down at Willow Grove Beach on the Columbia River. Life on the river is busy this time of year with the spring Chinook salmon run bringing camouflaged clad men out of their homes and onto their fishing boats for weekend fun. 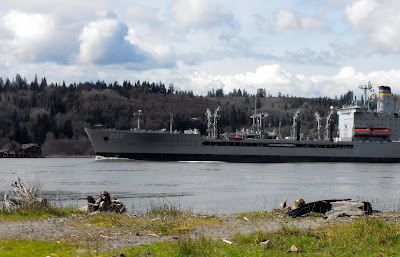 We also see a lot of ship traffic up and down the river, bringing goods into the Port of Portland or stopping by the local Port of Longview or Kalama to pick up raw timber or grain for the overseas markets. 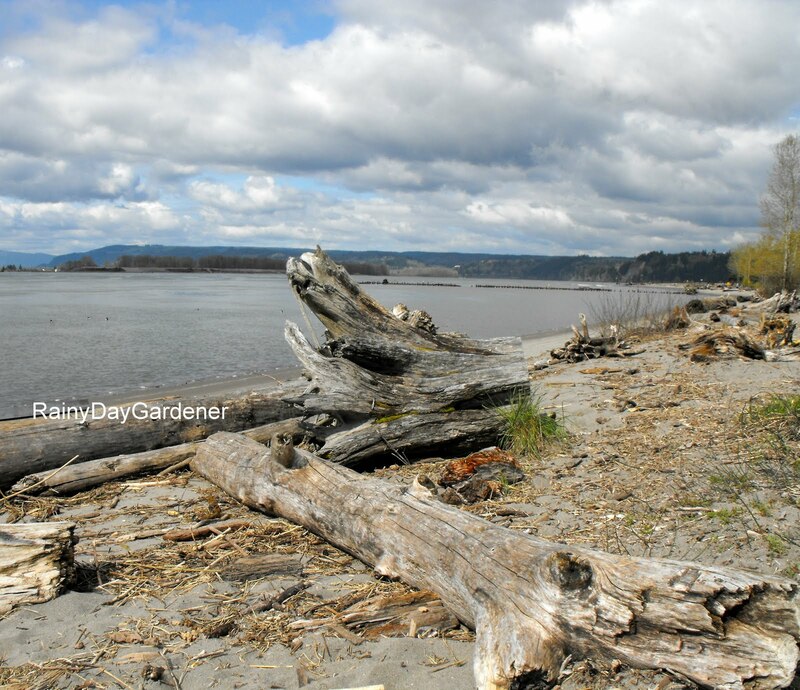 The salmon open fishing season has been significantly shortened the past few years to protect the declining numbers of fish making the journey up the Columbia. 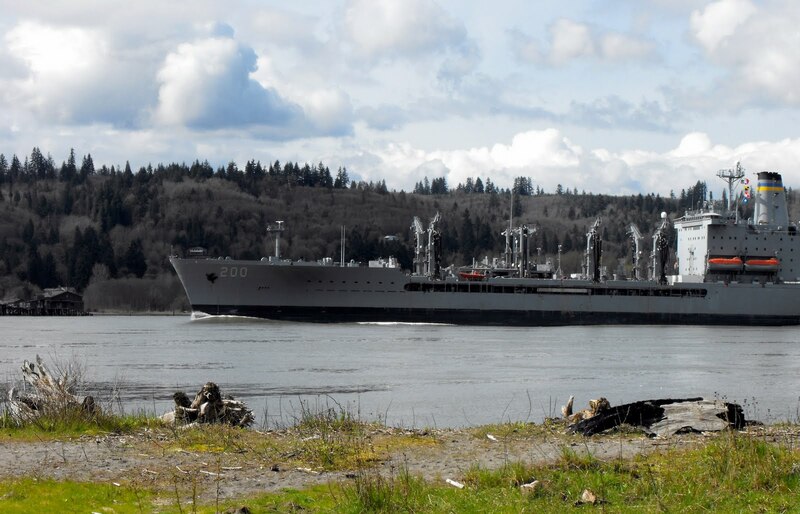 The big ships leave a choppy wake that can sneak up onto the shore and surprise beach goers. We teach the kiddos to move off the beach when a large ship goes by. If the scenery seems a bit dull and gray, well, it has been. Winter in the Pacific Northwest is a landscape of muted hues. It has only been this past week (post visit) that the sky's have cleared and a 1 day of consistent sunshine with temps finally warming up to reach 70 degrees F has occurred. It's amazing how quickly the trees have responded to the warmth. I'm seeing more bright, chartreuse green leaves around. It feels as if Spring has arrived and I am relieved. Thank you for bringing back wonderful memories of playing next to the Missouri River while dad worked on the irrigation engine. Your children will hold that time dear. Thanks for sharing. Jenni, it's great to see a little insight into your part of the world! Thanks for sharing. Your little darlings are adorable. What a nice day you must have had and what a good mom you are to let your kids play in the sand. Seeing your children playing by the water, brought back memories of my childhood as I also played by the water both at the river and at the beach. This is fascinating to see, Jenni. We spent a house exchange holiday near the Columbia river in British Columbia. It was always referred to in tourist literature as the 'mighty Columbia'. It seemed big enough at the BC end, compared to Scottish rivers, but it's truly mighty downstream with you. 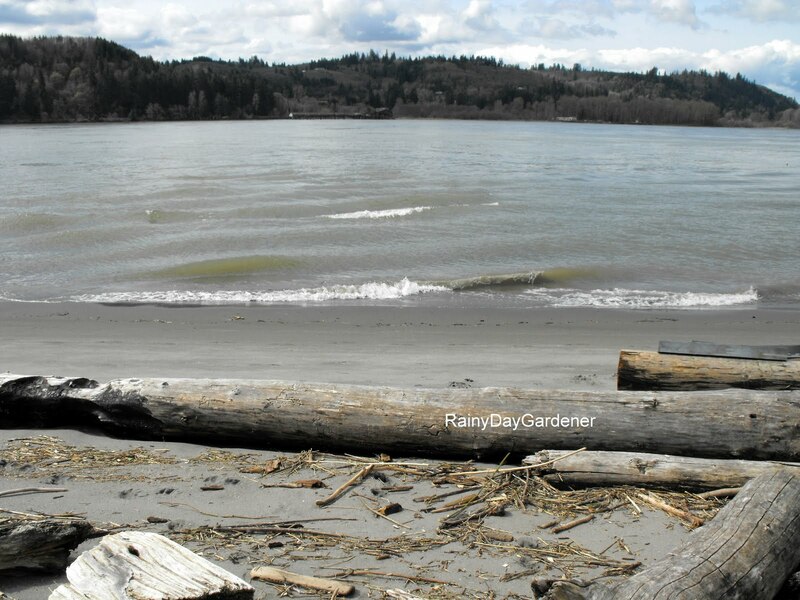 And those tree trunks on the shore - we just don't get that here. Suggestions for a Woodcutters Garden?